Buy PAMP gold multigram bars from Suisse Gold. 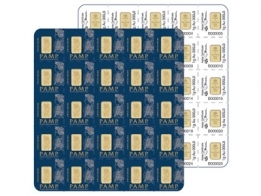 All PAMP multigram gold bars are 99.99% fine. Bars are available for Swiss storage or delivery.